Madden's mom Carly kept a blog to remember Madden's journey and share it with family and friends. She tells his story with heartbreaking honesty, clarity and tender love. Click on the links to read her full post about that day. This pregnancy started out much like my two before – full of love, hope and dreams for the little miracle growing inside my tummy. Our whole family was excited for the newest addition. Another sweet baby to love. As a mother you protect your children from the instant you get a positive pregnancy test. You won't let anyone or anything hurt them. Your love for them is instant and it happens before you meet them – before you know if it's a boy or girl, before you know what they look like, what they will turn out like and what's in store for their future. None of it matters. It's real, pure, true love. And so like my two pregnancies before, I was in love. On April 18, at 32 weeks pregnant our world crashed down around us when we found out that our unborn baby boy had a very serious heart defect. We were given all sorts of scenarios and statistics – none of them were good. In the weeks that followed, we were monitored very closely so that we could bring this sweet angel into the world as safely as possible. On Monday, June 4, 2012 that happened. Our sweet, perfect, beautiful baby boy, Madden Rocco DeLuca, was born at 9:46 pm weighing 8 lbs 3 ounces. We hugged, snuggled, kissed and talked to him for as long as they would let us. Two hours after Madden was born, he was transported to the Stollery and admitted into the NICU. Rocky followed the ambulance while I waited to be released from the hospital where I delivered. Madden did very well for the first few days after he was born, but slowly started to deteriorate. At ten days old, they decided he couldn't wait any longer and Madden had his first heart surgery. During the five-hour procedure, the surgeons fixed his aorta (the arch coming off the heart) and closed the ligation in his heart. It went well and even with all the tubes and wires, he looked good coming out of surgery and seeing him again was the best feeling in the world . After surgery, Madden was admitted to the Pediatric Intensive Care Unit at the Stollery Children's Hospital. This is the unit that cares for the sickest children in the hospital. Most kids spend a couple nights here after a major surgery and then are released to a ward as they continue to recover. The first night after surgery was really rough. Madden's heart had a very hard time readjusting to beating on its own. It seemed that everything that could go wrong, did. We spent the next month and a half falling deeper and deeper in love with our baby. His sweet kissable cheeks, his perfect little jawline, his sparkling eyes, his full head of dark hair, his tiny fingers and toes. So perfect, so loveable. These next few weeks brought some of the scariest times of our lives, like when Madden's heart rate went from 160 to 220 in one beat – and some of the most peaceful, like when we sat together simply holding hands, kissing, and bonding. Madden could melt my heart with a single smile. We all struggled to learn how best to help him, including the doctors, but most of the time it just felt like a guessing game. Sometimes he had an infection, sometimes he needed fluid. I asked lots of questions and learned a lot about my baby and what he needed. Eventually, they started asking me what I thought would help him. Being able to advocate for Madden helped me keep going. It fueled my desire to understand what was going on in his little body – even though the reality of what I was learning broke every piece of my heart. The truth is, Madden wasn't getting any better. He was kind of stuck. He was still in PICU and any chance of ever getting out felt so far out of reach. At 8 weeks old, Madden's doctors decided that the time had come for Madden's second major heart surgery. Although he wasn't as old, big or healthy as they would have liked, Madden went in for his second surgery on August 8 and overall the surgery went very well. They closed the two big holes in the centre of his heart and fixed the valves and ascending aorta. he worst. They said maybe he was done fighting. That maybe Madden wouldn't be coming home with us one day. But our sweet warrior continued to fight every minute of every day. The next few weeks brought some good days and at one point it even felt like Madden was finally turning a corner. He was smiling more, making eye contact again, he was looking less puffy and more like himself. These were the days that carried us through. These were the days that gave us hope. Then there were the incredibly long and frustrating days when he was unable to settle and we struggled again with high heart rates, dropping blood pressure, blocked tubes, infection and arrhythmias. These days were completely horrible and they seemed to go on forever. 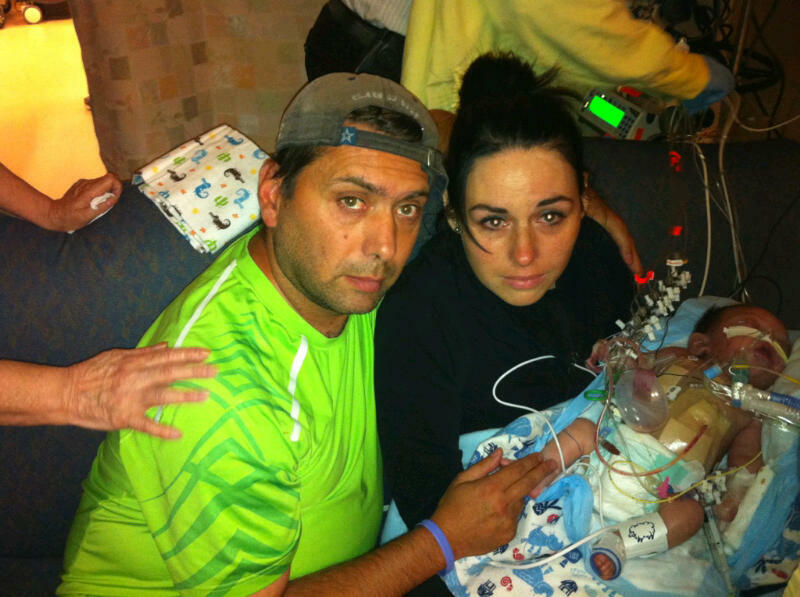 But Madden fought so hard, our little warrior. Every minute, hour, day and week with him felt like a mini victory. During our time together at hospital we read a lot of books. It was something natural. It made my heart happy and I hope it made his special little heart happy too. As the days went by we could see that Madden wasn't getting better. Something clearly wasn't right. He just seemed to be slipping further and further away from us. The thought of never getting our baby home was weighing heavily on our minds. On Wednesday, August 29, an echo was done from down Madden's esophagus. This showed that Madden had a very severe cardiomyopathy and was in need of a heart transplant. His heart was thick and barely functioning. 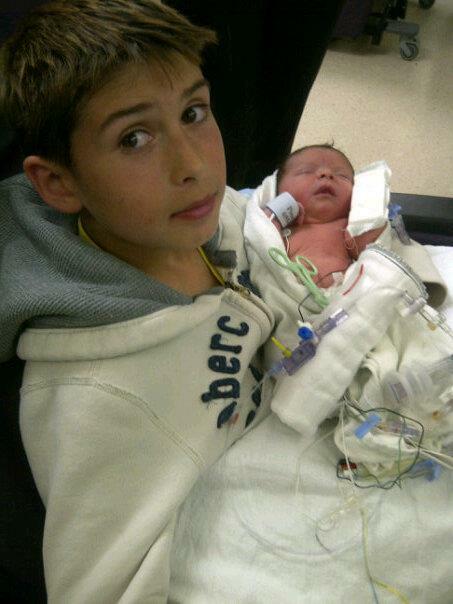 His organs were shutting down and by the time we knew he needed a transplant Madden was in multiple organ failure. The plan was to do transplant work up on Thursday, August 30 and get him listed as quickly as possible. Because Madden couldn't wait for a heart he would be placed on a Berlin pump that would act as his heart until a heart was available. This path was incredibly risky but could also have incredible rewards if successful. Transplant work up is awful. Hearts aren't easy to come by and to be qualified as a candidate is not a procedure that is taken lightly. Every part of Madden's weak little body was examined. I felt like people were trying to find something wrong with someone so perfect. This whole day was hard… but not nearly as hard as the night. Madden had taken a turn for the worse and the doctors told us our baby was dying - words you never want to hear about your child. They told us the likelihood that Madden would ever be coming home was less than 1%... way less. Tears flowed down our faces and words couldn't get past the lumps in our throats to come out our mouths. We just listened as they broke our hearts into tiny pieces with their words. We sat with Madden for a while before going home to get our oldest son Kaelin so he could spend some time with Madden before Madden's surgery in the morning to put him on a Berlin Heart. We told Kaelin the truth. We explained that the chances of Madden ever coming home with us weren't very good. When we got back to the hospital, Kaelin read Madden stories and talked to him about his dreams of them growing up together. The next morning, the boys and I went the hospital to spend some time with Madden as a family. When we got there the doctor asked to speak to Rocky and I and we learned that Madden was too sick to be a candidate for a transplant and that all other options were now off the table. It was a heartbreaking day as we struggled to accept what we had just been told. Looking at my baby, I could tell that Madden couldn't fight anymore. Madden's brothers, grandparents, aunts, uncles, cousins and our closest friends all came to the hospital to say goodbye. Filled with family and kids playing, the room felt homey and full of love. We spent the day telling Madden we loved him and that we were so so proud of him. We had him baptized and got hand and foot casts and prints made. We had a photographer come and take pictures of our family of five. I sat on the couch and held him, kissed him and talked to him. He was perfect. So handsome. So sweet. Then Rocky and I took our last moments with him and both held him while his small soul left his body. Madden took three small breaths in our arms and peacefully passed away. He was ready – he was just waiting for us to say it was ok. Looking back on it now, I know that he was ready long before we were. He stayed and fought because he knew we needed him to. 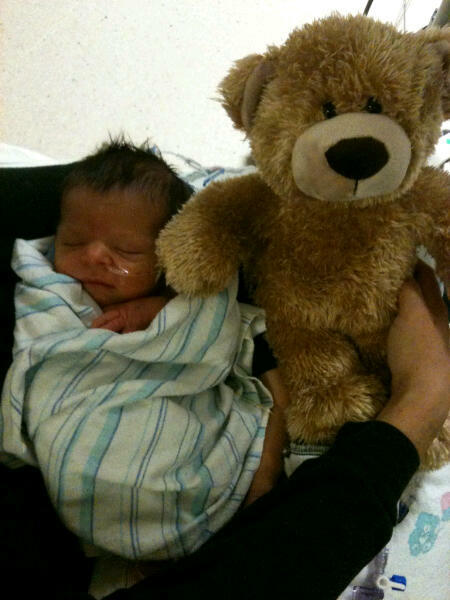 At 5:35 pm on Friday, August 31, 2012, my baby got the miracle he deserved. Though it was not the heart I wanted for him, it was the wings he needed so he could fly with the angels. I am so proud to be Madden's mother. He was an amazing little boy who taught me so much. I have become a stronger person, a better mother, friend, daughter and wife because of him. I have learned to cherish the little things in life. I have been shown love, compassion, friendship and sympathy by people I have never met before. I am reminded daily what really matters.